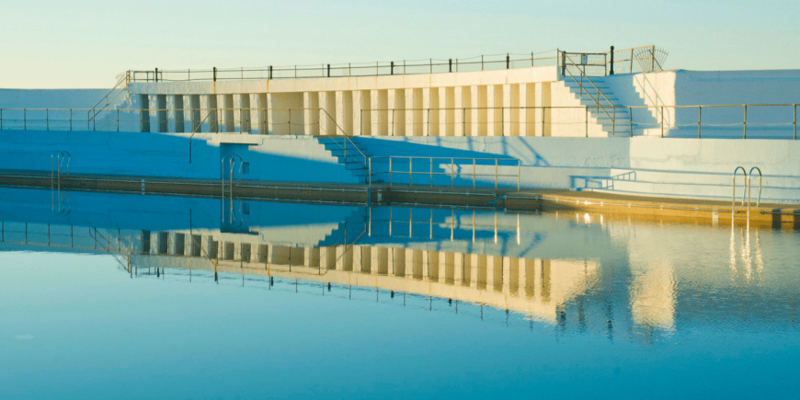 A hidden gem of Penzance, the Jubilee Pool is the UK’s largest seawater lido. With art deco styling, this pool is a fabulous venue for swimming, sunbathing or simply relaxing by the poolside on a sunny day. Parents will be able to relax knowing their children are in a safe environment, with even a shallow heated pool area for the little ones. 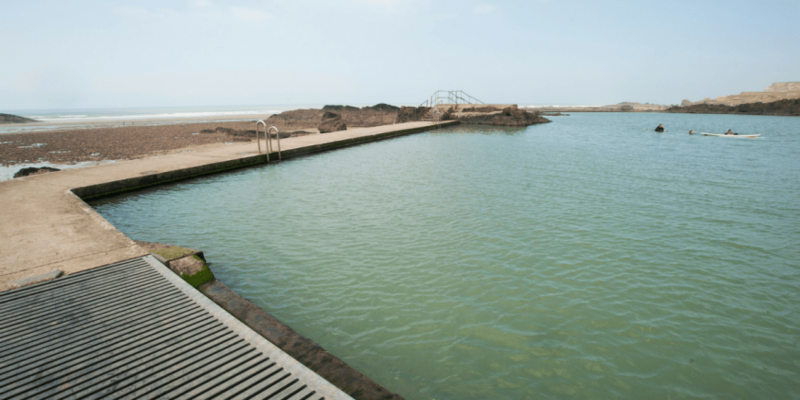 A part-natural part-man-made pool created in the 1930s, you will be able to enjoy sea swimming without the worry of being swept out to sea. Providing plenty of room for paddling or serious swimming, visitors are encouraged to bring inflatables, surfboards and snorkels. 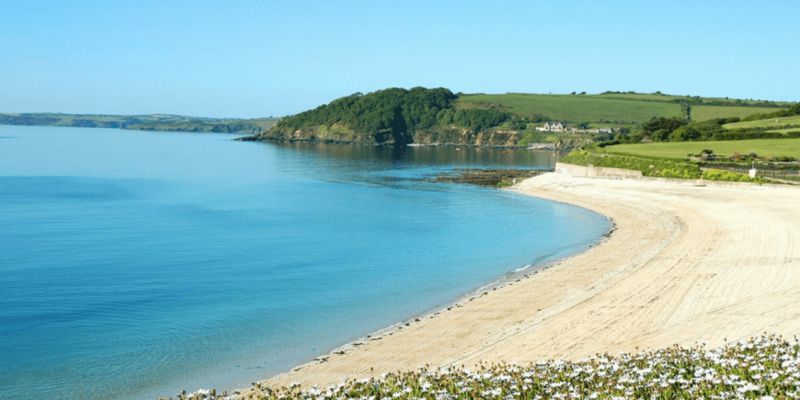 Falmouth’s largest beach offers the perfect place to dip your toes in the early morning light. Popular with families, swimmers, canoeists and wind-surfers, this beach has a great vibe in the summer. Feeling brave? Lots of locals prefer to swim in the colder winter months, believing it heals the body from illnesses. 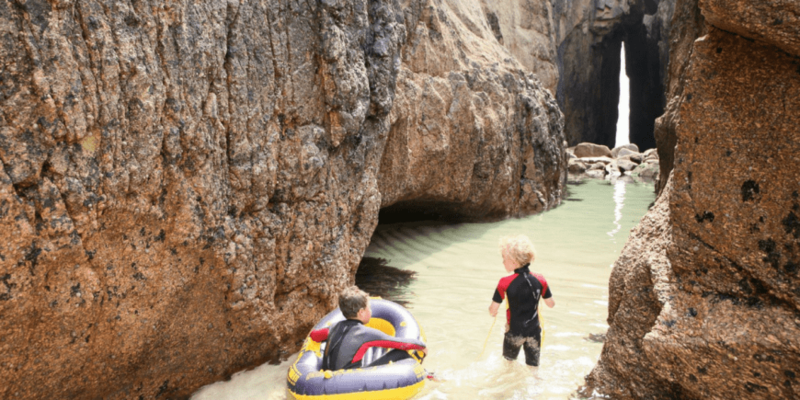 With jagged caves surrounding the beach of Nanjizal Bay, there are plenty of waterfalls and streams for children to play in. The most popular attraction is the breath-taking ‘Song of the Sea’ rock arch. Bathe in the shallow rock pool, then snorkel your way through the sea tunnel, admiring the beautiful coralline pink walls. Wild flowers cover the rugged coastline of the Lizard peninsula – popular by many romantic poets and painters. 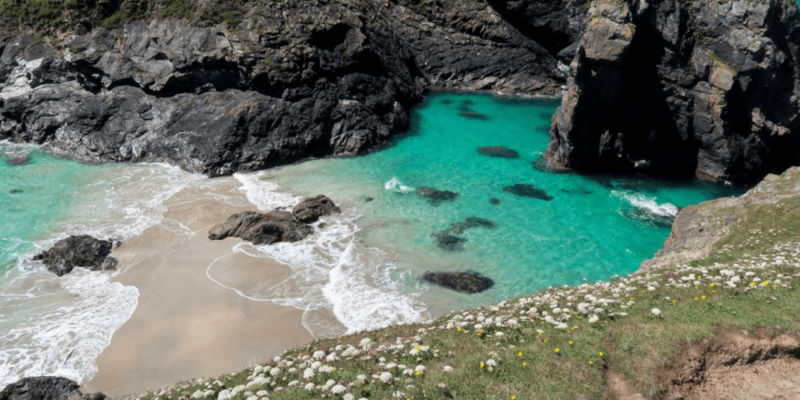 The clear crystal water is perfect for snorkelling, surfing and swimming, with many sea caves and rock pools around to the north bay at low tide to discover.